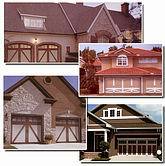 Advanced Door Systems is a well established full service Garage Door and Gate Systems Company based out of Stayner, Ontario. We provide all types of overhead doors for residential, commercial and industrial applications. We service all of Simcoe, Dufferin and Grey Counties as well as the GTA. The Company was established in 1988 and the owner and staff have combined experience of over 30 years in the sales, installation and service of all residential garage doors, commercial and industrail doors and automated gate systems. We provide a wide range of all door types and openers to fit any budget. Our automated gate systems will not only provide extra security for your property but also increase its value. Let Advanced Door Systems increase the value and appeal of your home, commercial or industrial building.